This classic Firebird made an appearance last year. Photo by Steven Hodges. Do you like to burn rubber in classic muscle cars? Do you have a penchant for antique automobiles? Or do you just like to generally have fun and eat some good food? Well, the Wings and Wheels Car, Truck, and Motorcycle Show has you covered. 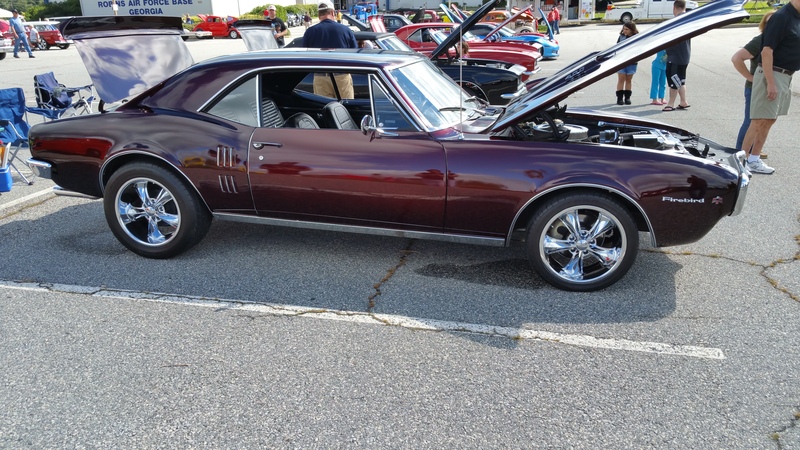 On Saturday, October 8, 2016, the Museum of Aviation in Warner Robins will be hosting their 24 th annual automobile show. Here you will find cars, trucks, and motorcycles from all eras – antique cars, hot-rods, muscle cars, and modern cars. Basically, you can find an automobile from just about every decade. There will be a live DJ playing all of your favorite tunes as you take in the spectacle. Winners of a 50/50 raffle will be periodically announced. There will also be plenty of food on hand as many local businesses set up both tents and food trucks for the event. Be sure to bring the kids too because Wings and Wheels is family friendly with plenty for children to do, including monster truck rides. 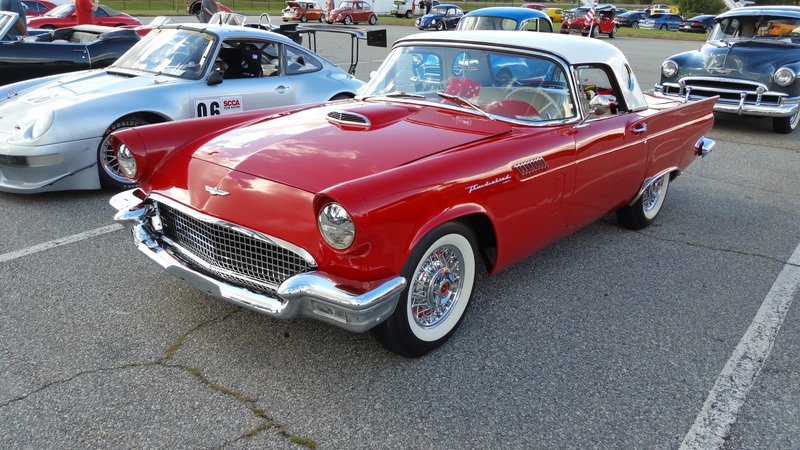 This classic red Thunderbird was part of last year’s show. More cars like it will on display this year. Along with the show, there’s also a poker run from 6:00 pm to 6:45 pm. You don’t have to pre-register for the event, but you can fill out the form ahead of time by visiting their website. Poker hands are $10 each, with cash prizes of $75, $50, and $25. If you have a car, truck, or motorcycle you’d like to show off, registration begins at 8:00 am and runs ‘til 11:00 am, with awards being presented at 3:45 pm. The Museum of Aviation is located at 1942 Heritage Blvd., Robins AFB, GA.